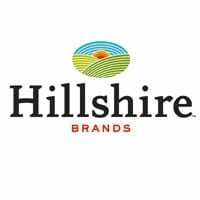 A national in-store mobile marketing campaign that used Bluetooth Low Energy (BLE) beacons and geofencing technology to drive sales and awareness of American Craft Link Sausages has seen a 20-fold increase in purchase intent by those exposed to messaging, a 36% increase in brand awareness and a lift in overall sales, owner Hillshire Brands has revealed. The program sent alerts to shoppers, offered them the opportunity to add products to their shopping list, allowed them to earn points for engaging with the product and delivered money-off coupons. It was run in partnership with media agency BPN and shopper marketing platform inMarket between April and June 2014 in 10 US markets. In the first 48 hours, the campaign achieved 6,000 in-store engagements. The increase in purchase intent represents a 500% increase over the average for mobile ad engagement in the CPG (consumer packaged goods) sector, Hillshire reports. “We started experimenting with location-based technologies and increased focus on mobile a year ago, recognising that location is key to engaging with our consumers,” says David Ervin, director of integrated marketing at Hillshire Brands. Following on from the success of the campaign, the company will now extend the beacon program to a campaign for its Jimmy Dean brand later this year.